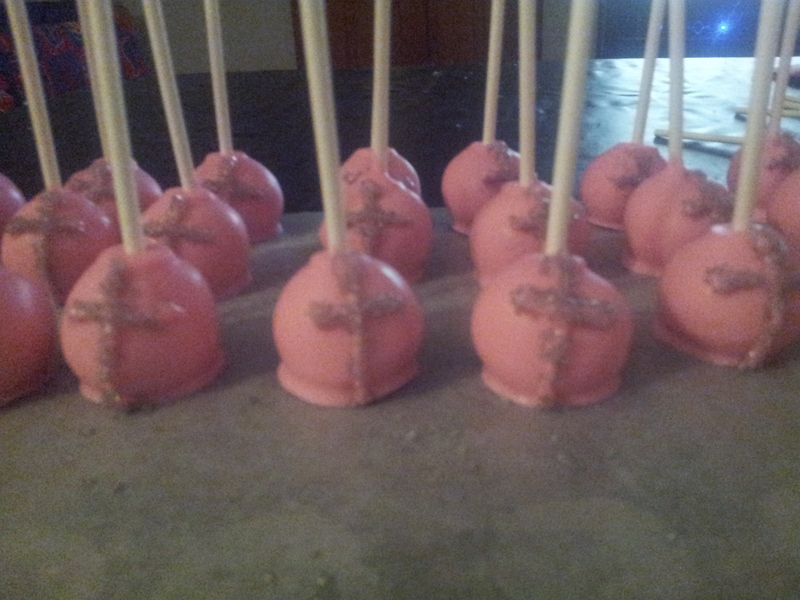 I’m super pumped to be baking again! 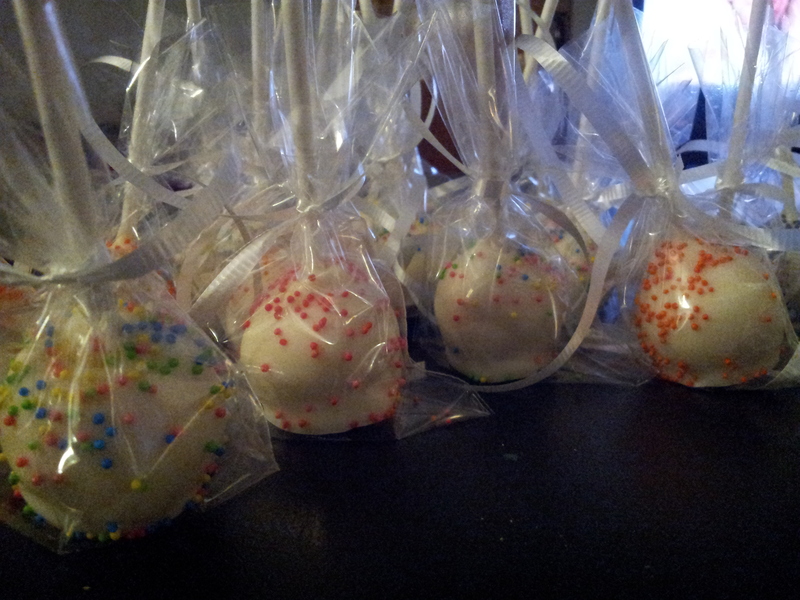 Its so funny, for just a little hobby, I really missed having weekends slam packed with baking orders. I mean, I had nothing to do on Friday nights from Midnight-330am! LoL Believe it or not, thats my most productive time! I am making it my personal goal to keep up with this darn page from now on too! Thanks for your support! Keep your eyes open for new baked goods!! It literally breaks my heart to say it..but unfortunately I will be unable accept anymore baking orders for the time being. . I wish it wasn’t the case, BUT don’t forget about me! Sweet Deeda will be back in action as soon as possible!! I promise! I am working diligently to get back up and running. I have a couple options that I am working on. But will keep you updated as I am able. Thanks for your continued business and support. You guys rock! Time to update this little bloggy with some delicious orders as of recent. Sorry it took me so long to update, I have been busy, busy, busy. Which is a great thing, and believe me, I couldn’t be happier about it. With that being said…lets bombard ya with pics! 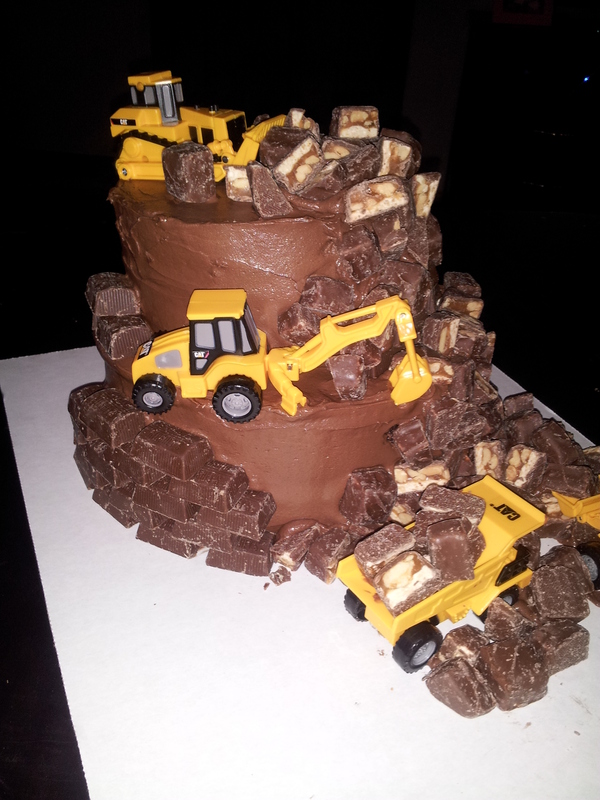 One of my fave little customers requested this construction cake!! 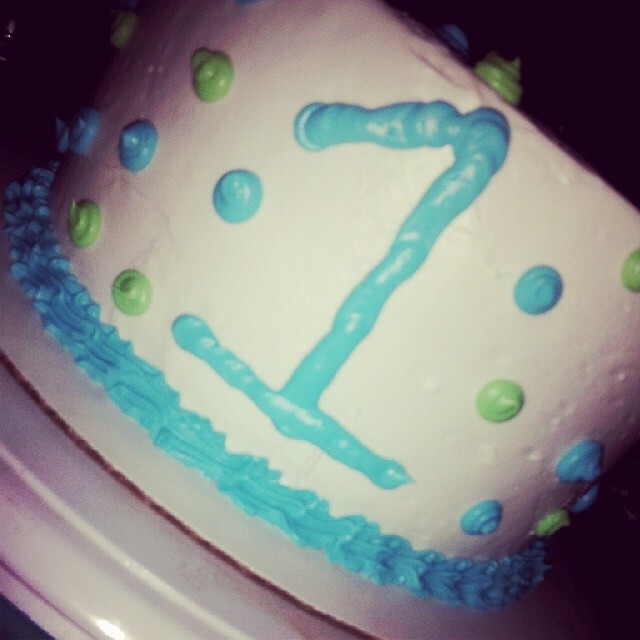 Sawyer’s FIRST Birthday Cake. I cant believe he is a year already!! A Cute Little Smash Cake for my Fave 1 year old’s latest photo shoot!! 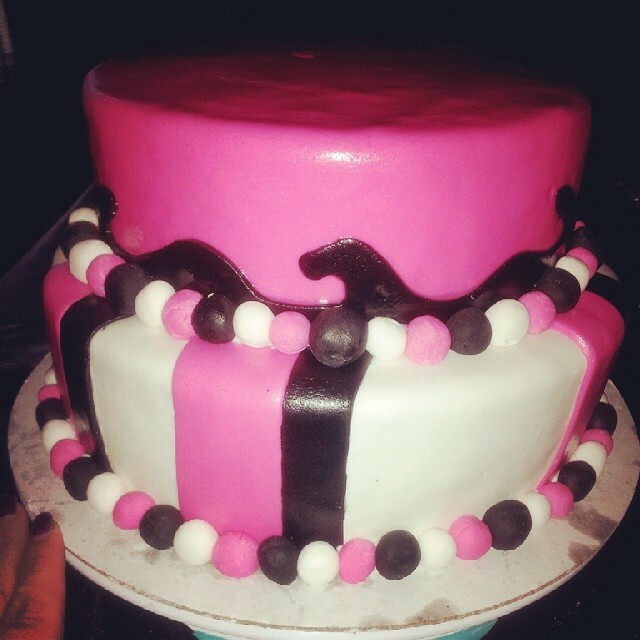 A Black and Pink 2 Tier Cake for a Sweet 16! 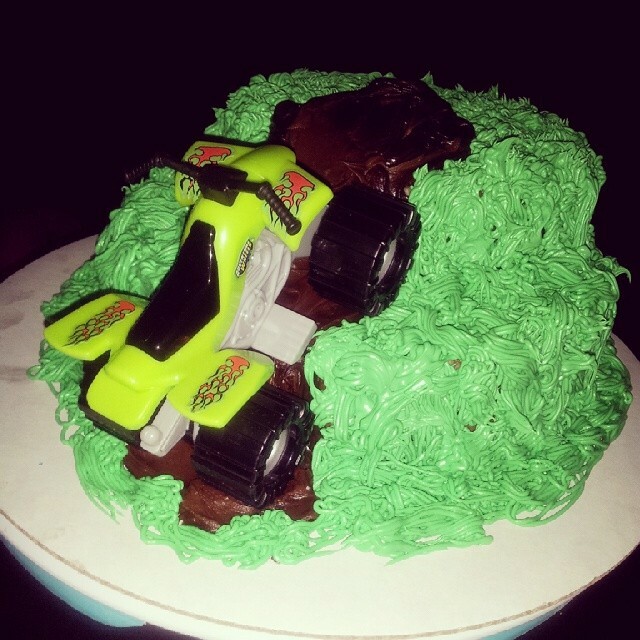 An ATV Cake perfect for a Groom! Whoops…seems as though I skipped a few weekends. Sorry kiddies. I have been trying to get better at photographing and documenting my projects…er, orders. This weekend was chock full of fun things! And shockingly, nothing patriotic! Check it out! I have been friends with Jake’s Aunt and Uncle for a few years now, so its been lots of fun seeing him grow up. 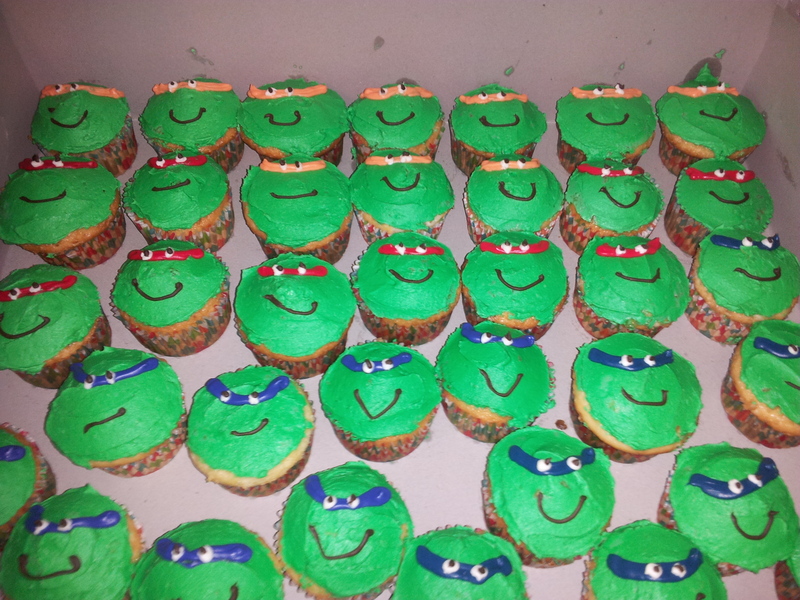 I was thrilled when his mommy contacted me about doing a bunch of goodies for his birthday party! Clearly, he is into Teenage Mutant Ninja Turtles this year. All of his treats were white cake with vanilla buttercream frosting. 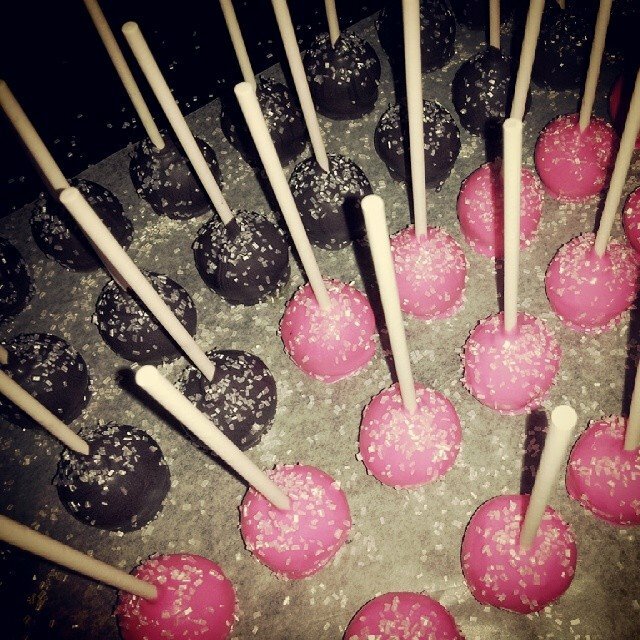 A friend of the family contacted me to do a couple dozen cakepops for a Bridal Shower. Her colors were Green, Purple and Silver. 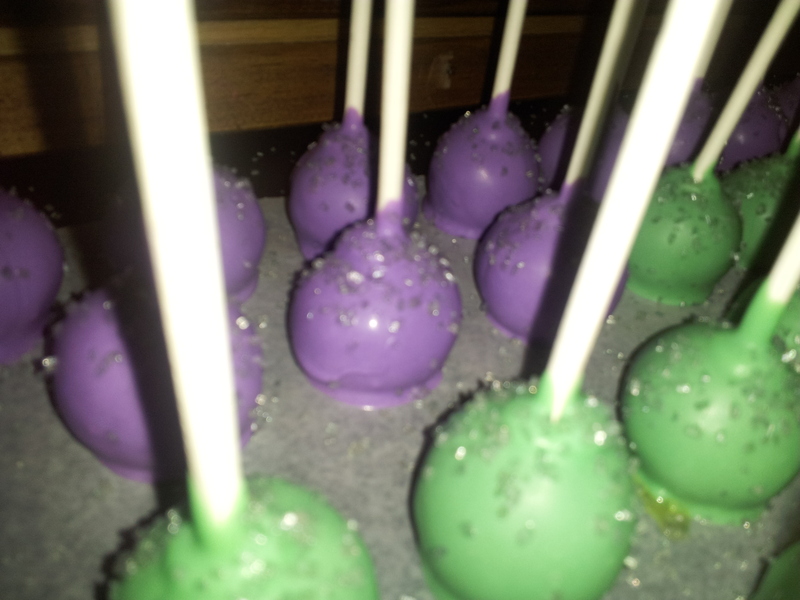 So I went pretty classic here with mixed flavors, purple and light green chocolate coating and silver sparkles. Definitely worth a super excited mention….I have done a few orders from Jen, and when she picked this one up, she brought me a TOTE full of baking goodies; bags, tips, recipes, etc. It was SUPER exciting! Hope you all had a great Father’s Day!! I know that I did. I think sometimes that maybe I take my amazing parents for granted. Often, I don’t think about how those without a Mother or Father, or even those people that play the roles of mother AND father. I know that I have some amazing friends that fall into both categories. I think they are some of the strongest people I know! Cheers to You! Anyways, it was a slow baking week. Thank Goodness, because I had about 10Million things going on during the week and no time for baking. And if you can believe it, I had everything done and delivered this weekend BEFORE Friday at 6pm! Rock On! And..don’t tell, but I actually have another slow week this time. The calm before the storm, for sure! This order was a pretty simply fun order. 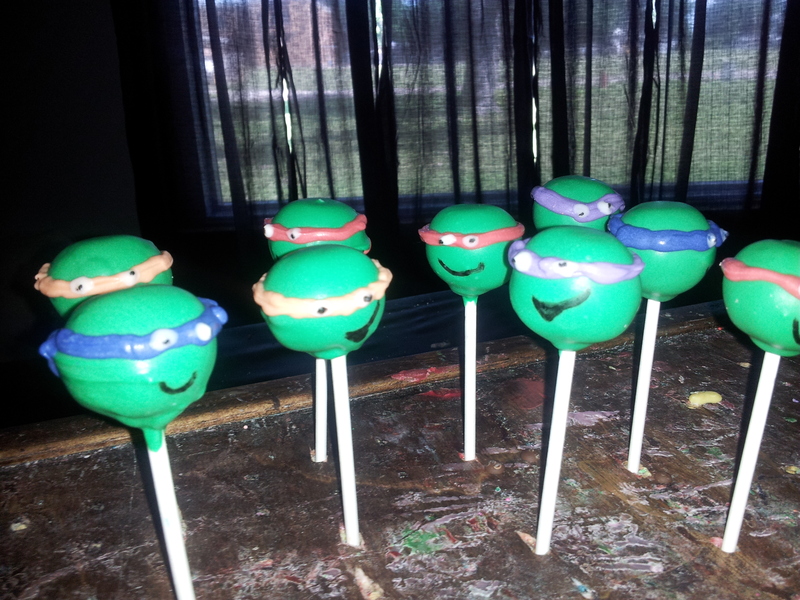 Lori just wanted some fun summer-y pops to give away as prizes. 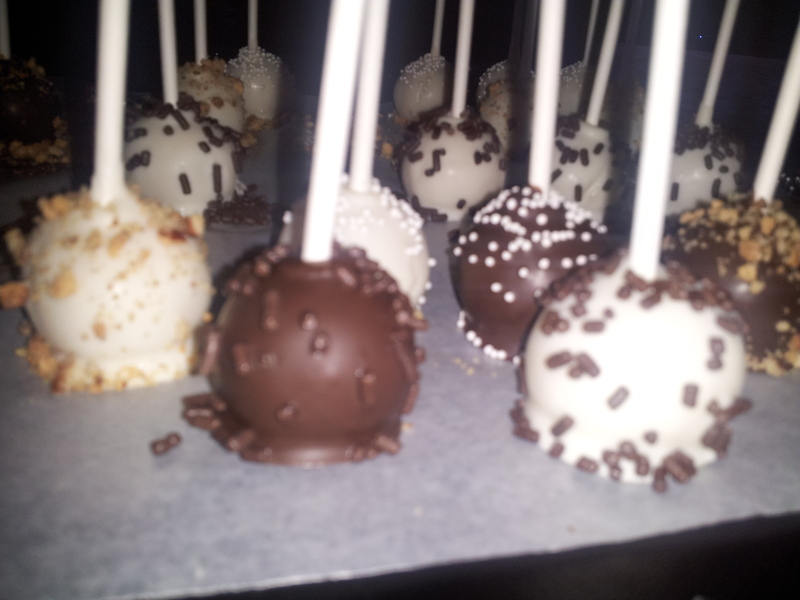 They were vanilla cake dipped in white chocolate. 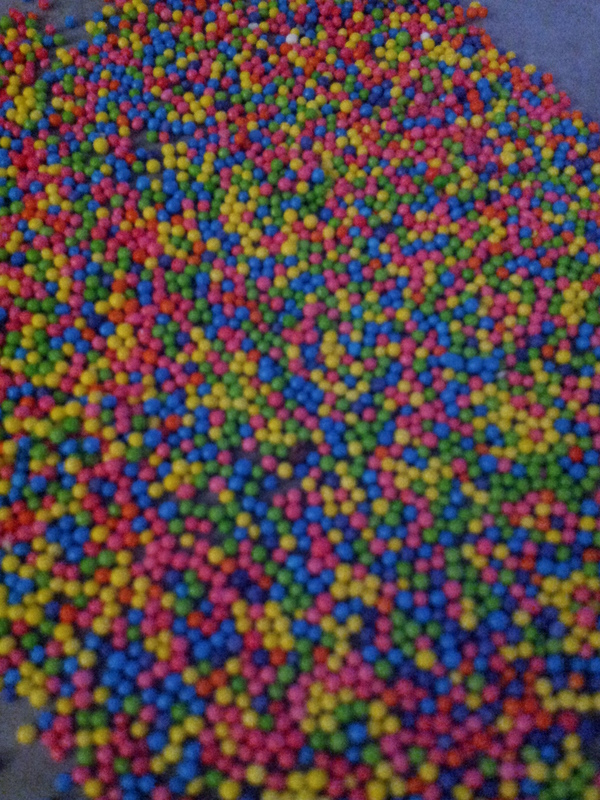 For the fun summer theme, I went with bright colored sprinkles. Unfortunately though, I didn’t think to take a pic before they were wrapped. I tend to have this problem often. Whoops. I pinky promise that I will get better. And just thought I would end on a fun, bright note! I LOVE sprinkles! I have been struggling with trying to find the best way to keep this site updated with all the new things that I have been making. I was trying to just update pictures and such on each of the product pages. But that wasn’t happening as often as I would like. Or, I simply forgot to do it. So I decided that maybe the best way is to just to make weekly posts with what I have done. Since..OMG..I have been having weekly orders pretty regularly lately! How stinking exciting is that?! Maxine is just hilarious, and she is even funnier on a cake I think. 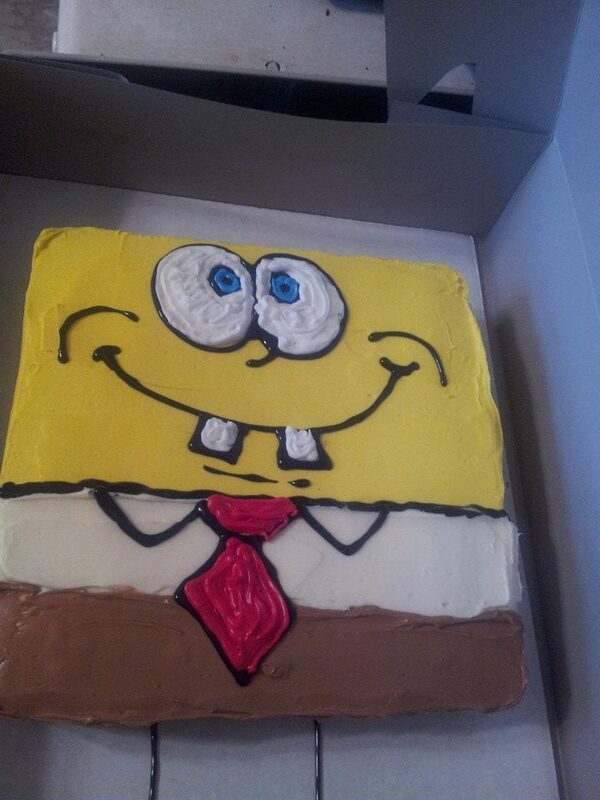 I have actually made this cake twice. 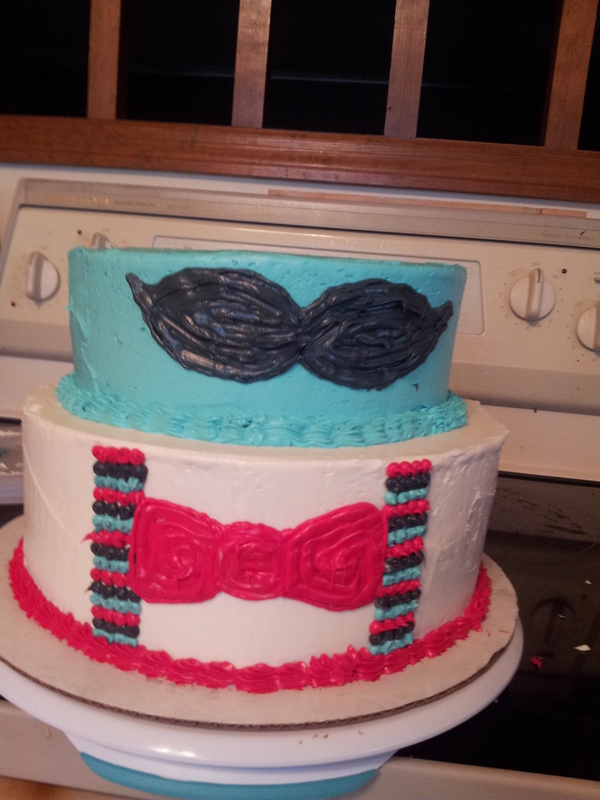 Its a great 60th birthday cake for ladies! 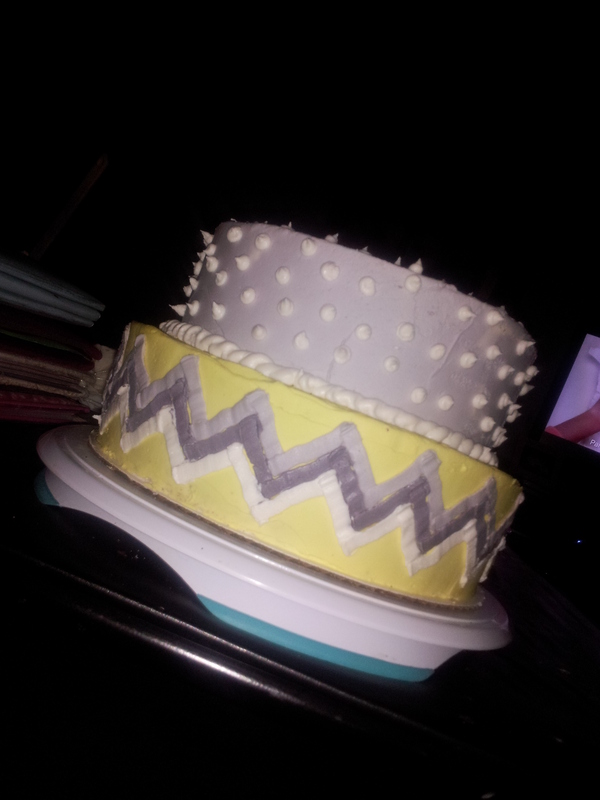 This time it was all white cake with vanilla buttercream. So much fun! 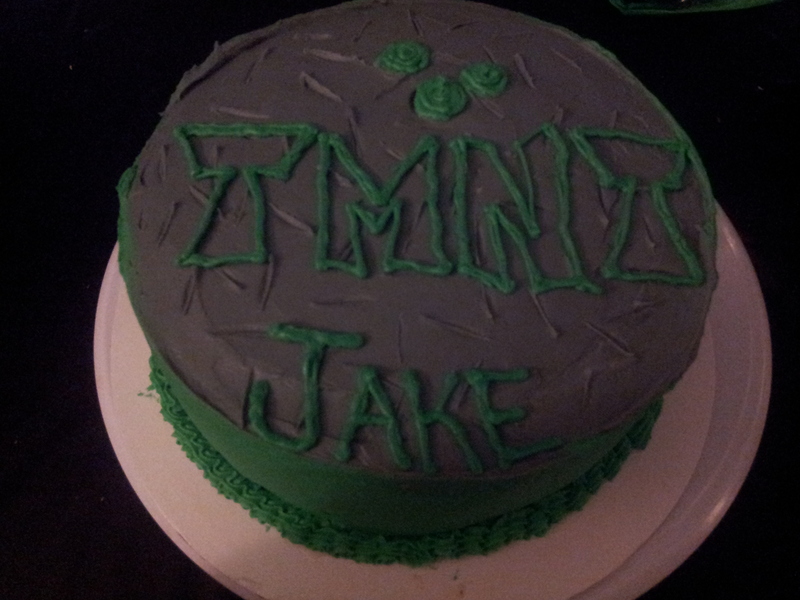 This cake was for a friend of a friend. It always makes me a little nervous to do a cake for someone I have never met before. Becki was great to work with! She knew just what she wanted for her Grand Daughter and was just as excited about getting this cake as I was about making it! I cant wait to work with her again!! All 3 tiers are blue velvet cake with vanilla buttercream covered in royal blue fondant. And as a fun addition, I thought it would be funny to show everyone what my refrigerator looks like on weekends like this when I have two cakes to be delivered on the same day! The pic is pretty dark because by midnight on Friday, my phone battery was dying and no long accommodated a flash-whoops! Ignore the alcohol 🙂 And for the record, I really do have a little food shoved into the crisper drawers. Welcome to my sweet piece of the world! 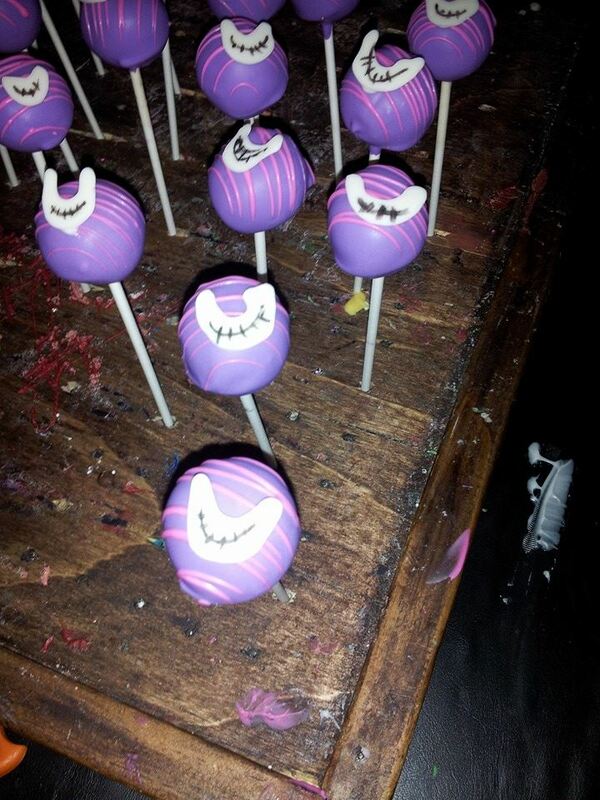 Also…check up there^^^for more info on Cakes, Cupcakes and Cakepops! 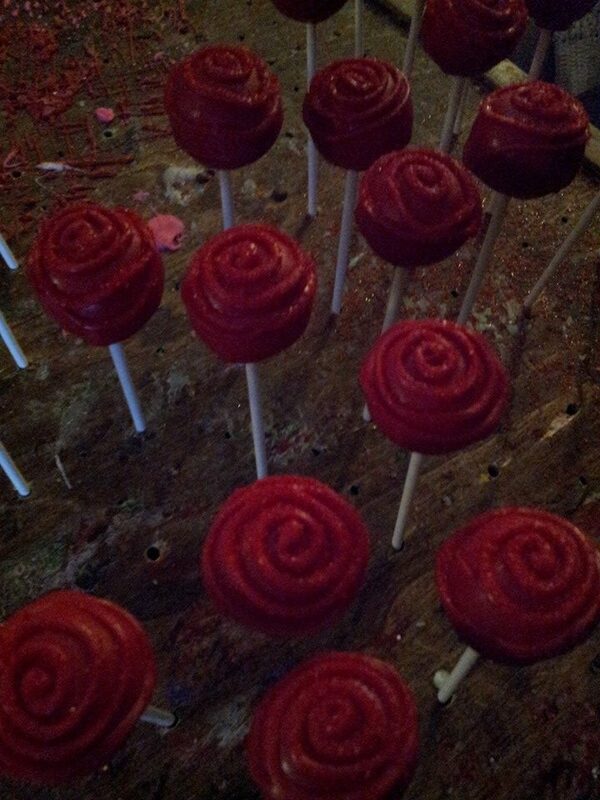 I hope that this will be a virtual portfolio of all the yummy treats I have crafted. Remember to keep check back, this is an every changing, and growing array of frosting filled wonder!